Over the next several days, MobileGenealogy.com will be undergoing several upgrades as far as software and content, and will be regularly updated after that. After the updates are finished, you’ll be seeing a lot of activity here. Apologies for being away – being a father and juggling a few other things was a bit tougher than expected. 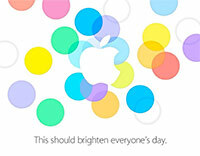 MacRumors has a great list of websites covering today’s Apple iPhone/iOS event. AppleInsider is also live blogging it. I’ll be posting a lot about this later today. This is a huge sale – single issues normally sell for £4.99 / €5.49 / $6.99, with normal subscriptions costing £3.99 / €4.99 / $5.99 per month, or with a 1 year subscription, £44.99 / €49.99 / $64.99. I believe the back issues stretch all the way back to April of 2012, at least going by what I see in Newsstand. 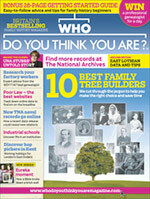 There is a also a free 1 month subscription trial, which includes the latest issue. The app itself is free. GoodReader for iPad 3.18.0 has been released, and the main improvements focus on handling files over a network, including shared files from PCs/Windows-based computers. The Dropbox support has received a large update – there is no size limit of files that can be uploaded through Dropbox. GoodReader is an Adobe Acrobat/PDF reader for the iPad, but it does quite a bit more than that, as it can handle TXT and images as well as various word processing formats (possibly even audio/video, but I’ve never tested that aspect). It’s one of my top-5 non-genealogy specific apps on my iPad as I have a lot of genealogy-related PDF files that I’ve accumulated over the years, and it’s very easy to keep them organized, and it doesn’t choke, even on the larger ones.